I am a Disco Dancer…. Gouranga Chakraborty, popularly known as Mithun Chakraborty is even today identified with the song and for years he did many films with dance and action. Today Mithun Da as he is respectfully addressed turns 65. Raaga.Com wishes him birthday wishes and enlightens readers how Mithun Chakraborty tried to run away from the Naxalite tag and how it brought him closer to the legendary filmmaker K.A.Abbas, the man who wrote brilliant scripts like AWARA, SHREE 420 and BOBBY for Raj Kapoor and gave break to star of millennium Amitabh Bachchan in his film SAAT HINDUSTANI. 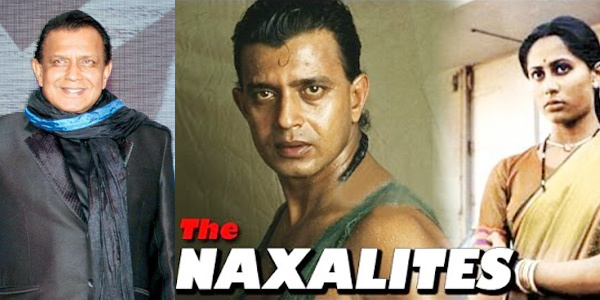 Before joining cinema Mithun Chakraborty was associated with Charu Mazumdar, the fiery leader of the Naxalites, in Kolkatta. However a death in the family compelled Mithun to quit Naxal movement and move to Pune where he joined FTII and later came to Mumbai to become an actor. “I felt restless at times but could do anything but control my anger. Hence one day when a filmmaker approached me to do a film titled THE NAXALITES, I resisted to meet him but later when I came to know that celebrated filmmaker K.A.Abbas is making the film and he had approached me, I immediately met him,” informs Mithun.